kliff Technologies is one of the top 3D application development companies, our team of passionate and enthusiastic developers is equipped with all the application properties of the D3. With such a level of technical expertise, we assure you to give the best results for your business strategies. 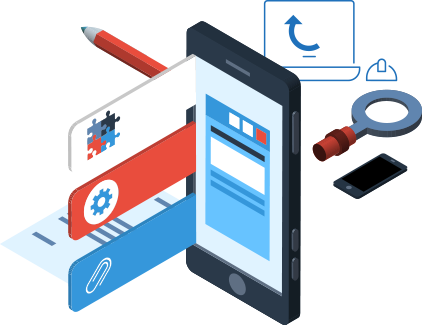 In addition to preparing quick and smooth solutions for mobile applications, we are also known to provide any tools that come from a business perspective. The huge system built in utilities helps you to create various custom scales, arcs, pie, pillars, according to your plan's inspiration. It comes when it is intended to best express its analytics. D3 has the ability to basically integrate on any borderline stack, whether written in any framework, it allows you to upgrade and upgrade your applications and you have better options for synchronizing Are there. Fast and responsive Outlook help in creating dynamic animations in web browsers. Combined with its flexibility and compatibility features, D3 helps to deal with very subject and helps in obtaining logical conclusions in every case. Why Hire D3 JS Developer From Kliff Technologies?